Holt has been with NBC News since 2000. He steps in for Brian Williams on the NBC Nightly News Monday night. With embattled anchor Brian Williams suspended for 6 months, millions will be tuning in to the "NBC Nightly News" and seeing Lester Holt in the anchor chair. For Holt, the circumstances are new and treacherous, but the job itself is not. He's been filling in for Williams for almost a decade and he's a friendly face in the halls of NBC News. The 55-year-old newsman has been a co-host of the weekend editions of "Today" since 2003. He added weekend "Nightly News" to his duties in 2007, so he works pretty much nonstop Saturday and Sunday. He also hosts the newsmagazine "Dateline." "Lester is always pitch perfect in the anchor chair," said Mark Effron, a former vice president of daytime at MSNBC. "You can't throw him a curve he can't take." Effron, who is now a media consultant and adjunct journalism professor at William Paterson University, said that Holt never begrudgingly took an assignment while at MSNBC. With the crisis swirling around Williams, Holt has the difficult task of steadying the ship and maintaining Williams' top-rated audience. Back in 2013, when Williams was undergoing knee surgery, Holt filled in on weekdays and held NBC's top spot, bringing in 7.6 million viewers the week before Williams' return. Some observers have cited those ratings to say that Holt will be well-received. Holt was an obvious choice when Williams decided on Saturday to, in his words, "take myself off" the weekday "Nightly News" for "the next several days." The announcement of Holt as Williams' sub hushed speculation -- at least momentarily -- about who might step in for Williams either temporarily or permanently. Other names have included "Today" co-hosts Matt Lauer and Savannah Guthrie and a new arrival from ABC, Josh Elliott. Certainly someone like Lauer is higher-profile than Holt, and that has led some TV critics to wonder if Holt is right for the weekday post over the long term. "The position of broadcast evening news anchor is still important enough that it calls for an extra level of telegenic presence, some intangible dash of starpower," the New York Daily News TV critic David Hinckley wrote Monday. "That's probably not Holt." Others have argued that someone like Holt is perfect precisely because he doesn't have as much starpower as Williams. Some inside NBC are openly wondering if Williams will be able to return. And in the meantime, Holt is there. "However long he's in that seat, he will represent the very best principles of journalism," Effron said. 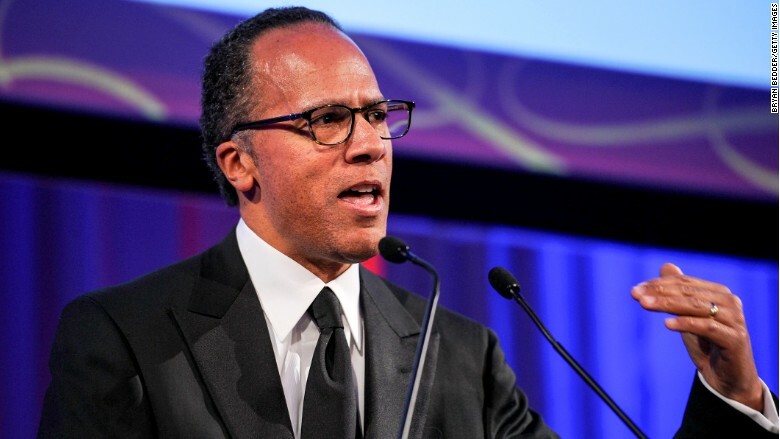 "There's nobody better positioned if that job were to open up than Lester Holt."